Whenever I see the word "natural" I pronounce it in my head the way Matthew McConaughey does in The Wedding Planner, "Nat-chu-raaalll". Anyone else? Just me? Okay, moving on. I still don't really feel like I have a proper routine when it comes to my skin care. My progress in this area has moved at about sloth-like pace since I was 15. I still don't wash my face at night, and pretty much never take my make up off (I like to think that because I don't wear too much it doesn't matter, right? Right), but I'm trying to get better. Slowly. Anyway, I've never had terrible skin, so I've gotten away with being lazy in regards to skin care, but as I get older I want to be nice to my skin because it's the only skin I've got and it has to last me hopefully a lot more decades. Back in high school my extremely limited skin care was limited to trying to use astringent whenever a zit showed up, but I never really liked the feeling of the alcohol on my skin. I have pretty dry skin and growing up in Alaska really exacerbated this because the air is the most dry of anywhere I've ever been. I have a bit of Keratosis Pilaris, which mostly presents on my upper legs and upper arms, but it gives my cheeks a bit of ruddiness too. In high school it mortified me and didn't really know what do to about it except feel upset that I didn't have the soft, smooth, beautiful leg skin that all the other girls had in gym class. Any time I'm somewhere more humid than Anchorage (basically anywhere, really), my legs and arms get so much more smooth. When I'm somewhere super humid, like Hawaii, it basically disappears completely. I should've realized that moisturizing like crazy would've helped, but I could barely get myself to shower consistently back then, much less have any sort of skin care regimen. So, fast forward to now. Or, a couple years ago, really. I wanted to moisturize my skin but wasn't really interested in putting a bunch of products made in labs with a bunch of chemicals I could barely pronounce on my skin. 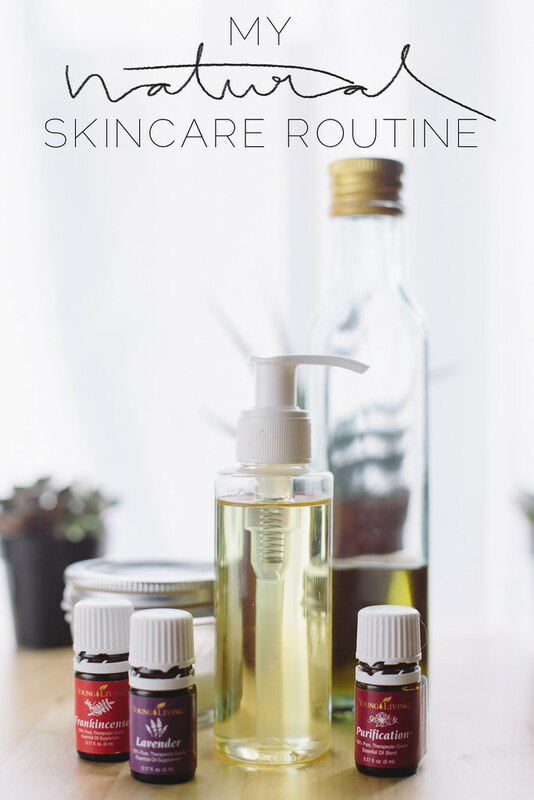 I looked into more natural alternatives to make my skin happy and started using a bit of olive oil as moisturizer (because I already had it in my kitchen). I also discovered the oil cleansing method, and decided to try doing that. For a longer explanation of OCM, click here, but the basic concept is, you massage your oil into your face, soak a clean washcloth in warm-hot water, and then cover your face with it. 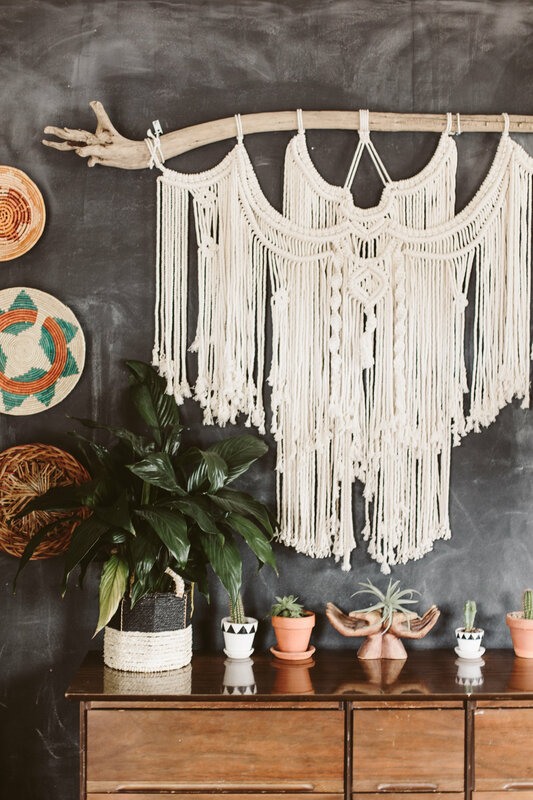 Allow it to stay until it cools, wipe the oil gently away and rinse the washcloth well in hot, running water. You repeat this two or three more times. I'm usually too lazy to do the full oil cleansing method, but when I do, my skin is super happy. I sometimes do a quick version of the oil cleansing method when I'm in the shower and it's all steamy. I currently use Avocado oil mixed with Castor oil for my OCM oil. Because my skin is super dry after I get out of a shower, I usually just put my Avocado oil on my face as a moisturizer without doing the whole OCM. For the rest of my body, I moisturize with lavender infused olive oil (you can find a tutorial for that here). My skin loves it. 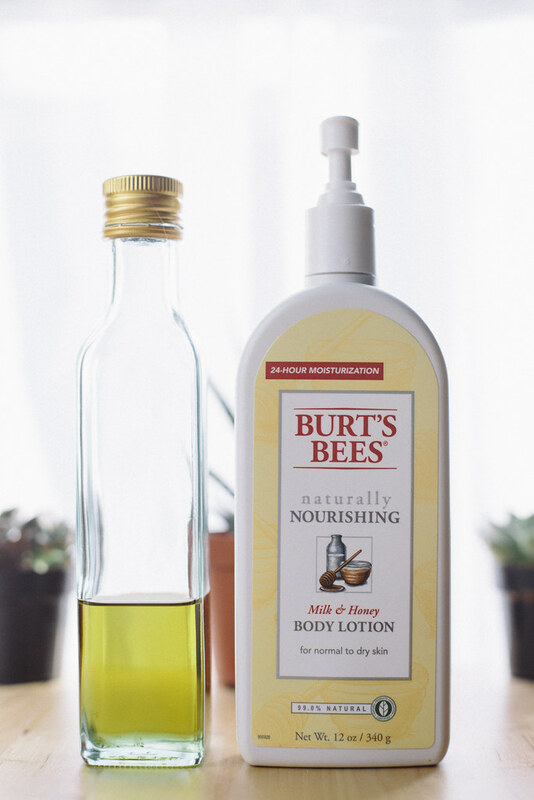 I also have some Burt's Bees body lotion that I use sometimes too when I'm not feeling like slathering myself up with olive oil. 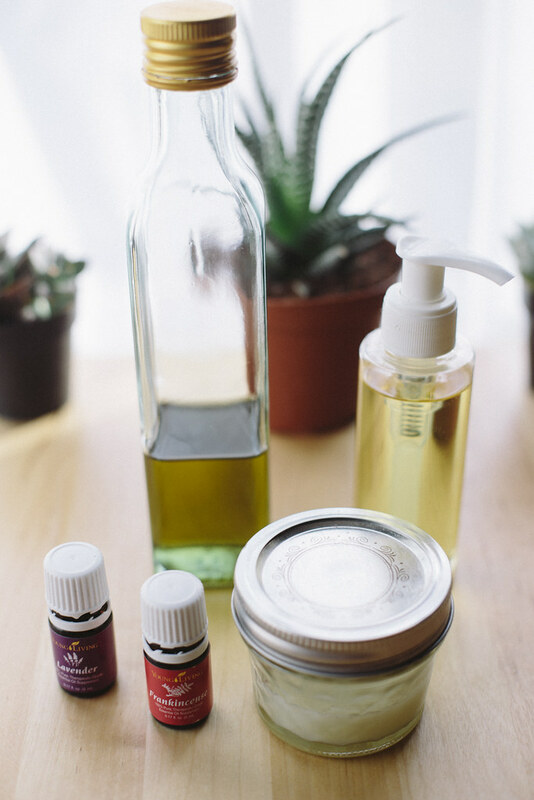 I find that the olive oil really isn't all that oily because my skin does soak it up, but it's easier to apply lotion than oil, so I switch between the two depending on my mood that day. I also have a coconut oil mixture that I was given by a yoga instructor a few months ago, but I totally forget what else is in there other than coconut oil, I want to say maybe tea tree oil? I use that pretty frequently as a face moisturizer too. It's nice because it's a bit lighter than my avocado oil. I love the smell too! Once I run out I'm going to make my own with some essential oils. And speaking of essential oils, those are a part of my skin care now too! 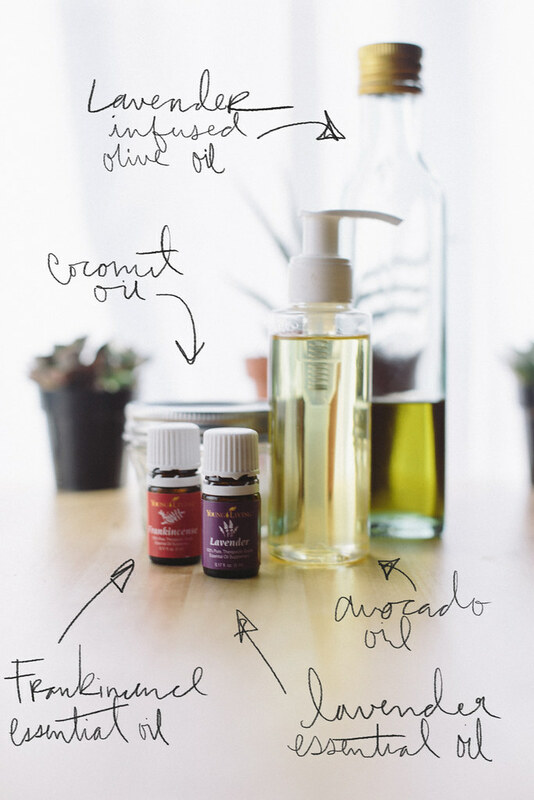 I use both YL Frankincense and YL Lavender with my Avocado Oil. I've been trying to do this morning and night more recently and I can tell that my skin is so much less flaky and much more happy than it was just a month ago. I had some awful chapped lips last week, like to the stage of having little strips peeling off and cracking and almost bleeding. I was trying my Burt's Bees chapstick but that really wasn't doing much, so after a little research I saw that lavender and frankincense help with chapped lips. Lavender essential oil was my savior. 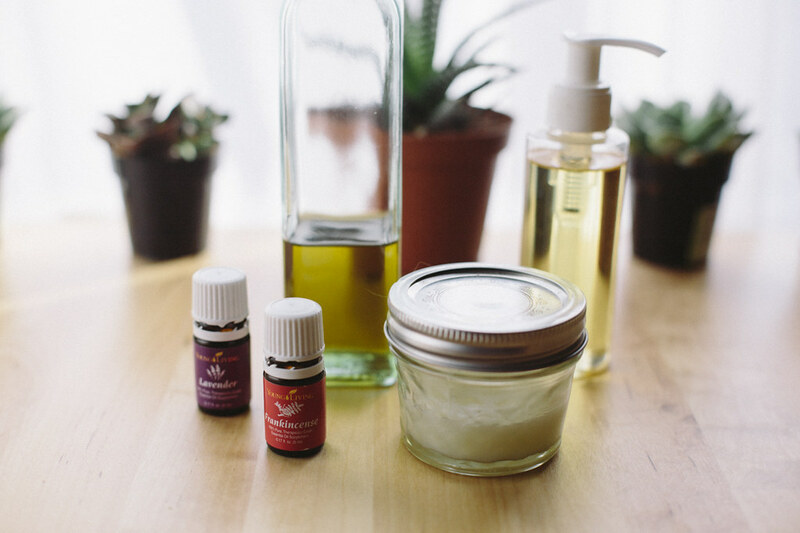 I put a bit of avocado oil on as a carrier oil and then rubbed a couple drops of lavender over my lips and I had instant relief from the pain of the cracked skin. I reapplied a couple more times throughout the day and by the next morning my lips were completely healed and it's possible they were actually more luscious than normal. Yes, I said luscious.